This anti-aging innovation is based on the latest scientific findings. Excellent for normal to dry skin, the combination of palmitoyl-oligopeptide, and palmitoyl tetrapeptide-3 is a peptide blend that mimics DHEA in the skin, It is a powerful anti-inflammatory that helps speed tissue regeneration resulting in normalization of damaged skin. It works to reduce the look of fine lines and wrinkles caused by repeated facial expressions. It dramatically diminishes lines in the forehead, around the eyes, and around the mouth. Many of my clients report definite improvement within 20 minutes of application! Aloe Vera based, it also contains the most potent antioxidants: Alpha Lipoic acid, green tea extract, Vitamin A, Vitamin C, Vitamin E, and DMAE. These are known to combat free radical damage to cells caused by pollution and sunlight. Hyaluronic Acid has been added because of its ability to attract and hold 1,000 times its weight in water. This plumps out lines, smoothing them, to create the most beautiful line free appearance possible! Seaweed extracts, Gelidiela acerosa and sargassum filipendula, along with butylene glycol, firm and tighten sagging, sun damaged skin. 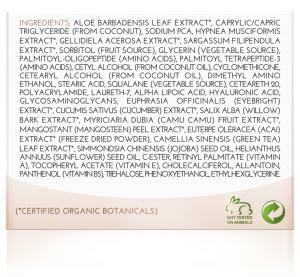 Plant extracts, eyebright, cucumber, willow bark, and jojoba provide a glow that just can’t be obtained any other way. 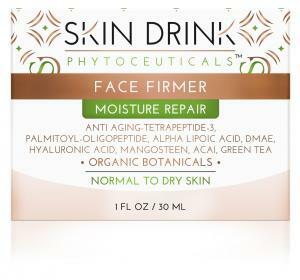 You will be thrilled with the improvement in texture, skin firmness, and a more line free youthful look. 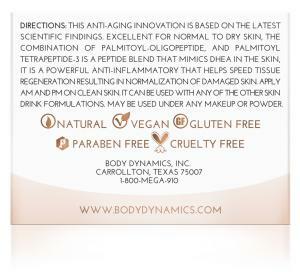 You’ll see instant gratification obtained with the most innovative anti-aging product available!